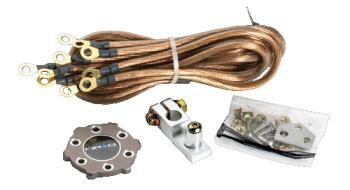 NRG Ground Wire System UNIVERSAL - Lesher Motorsports, Inc. The NRG Ground Wire System is installed on your batteries’ negative terminal then onto the chassis, this unit centralizes the grounding point of the electrical mechanisms of the vehicle. This causes less fluctuation for the electrical system and can improve overall performance and responsiveness of the engine end electrical components resulting from proper grounding. A must-have for any vehicle with engine swaps since grounding tends to be an issue with these types of performance modifications. © 2019 Lesher Motorsports, Inc.